Alzheimer’s disease (AD) is the most prevalent cause of dementia in the elderly, accounting for 70% of the >260.000 cases of dementia in the Netherlands. Due to the aging of the population, the number of cases is projected to increase to 400.000 in 2050, which will lead to a steep rise in healthcare costs. As pharmacological treatments are slow to develop, it is imperative to better meet the social, emotional and cognitive needs of people with Alzheimer’s and their care network, and to facilitate home care for as long as possible. 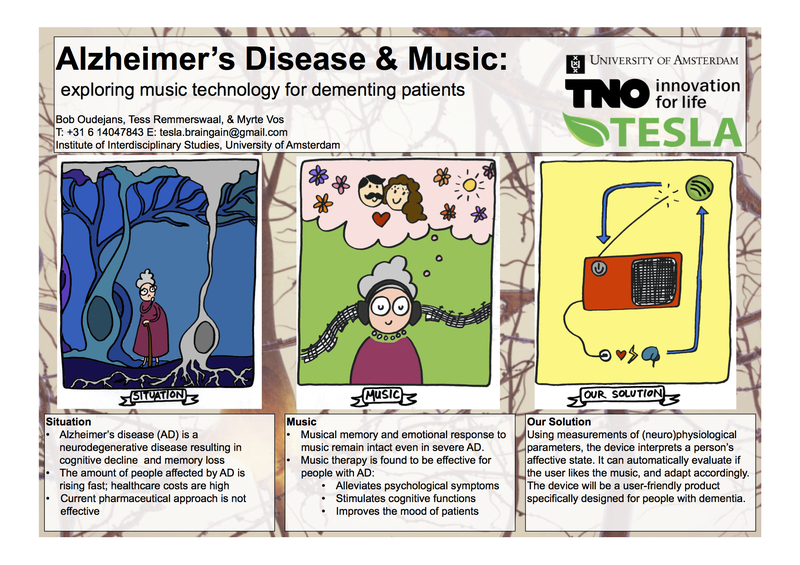 We investigate the possibilities of meeting those needs using music and technology.